What’s the worst that could happen before a wedding, other than a bride or groom backing out? Having no wedding venue booked, no food for the guests and no decor planned would probably take the cake. 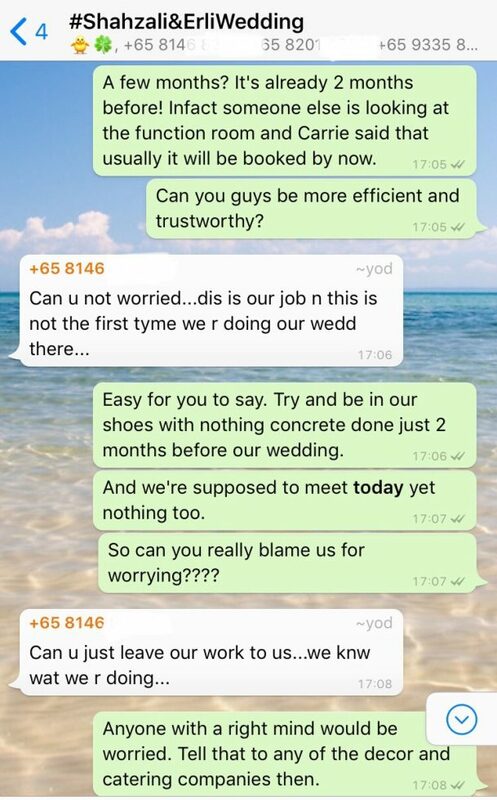 A couple was allegedly left stranded by For You Wedding Services (FYWS) just two months before their wedding in a similar fashion. 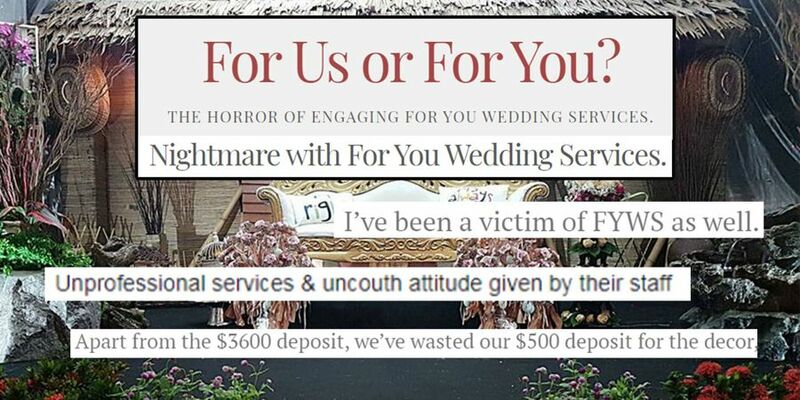 Incensed by her bad experience with her wedding caterer and planner, Ms Erli Elfira and her husband Shazali created a blog to detail the events that led up to their “nightmare wedding”. 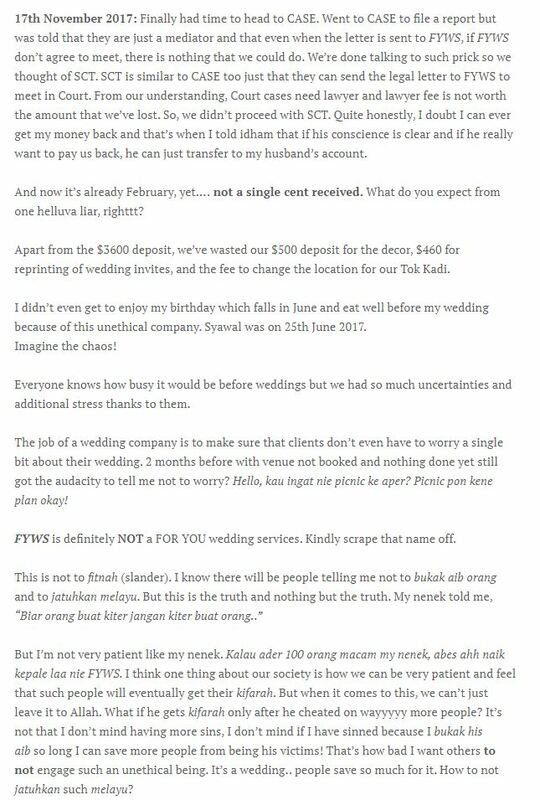 Yes, an actual blog called WeddingCheat hosted on WordPress. You can read her 6000-word post here. Alternatively, here’s a screenshot of an excerpt. 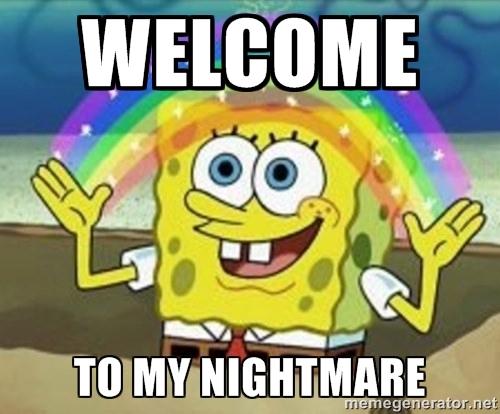 We summarise the entire saga after the jump. Convinced by her sister-in-law’s recommendation, Ms Erli decided to contract FYWS to plan her wedding. Her husband’s sister – who baked wedding cakes for FYWS – told Ms Erli that “[FYWS] would do their job” and that their “food is not bad”. Little did she know that this was just the beginning of a literal nightmare for the happy couple. 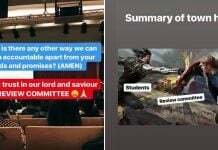 Here’s a timeline of what went down according to Ms Erli. 4 Jun 2016: Ms Erli and her husband paid the first deposit of $2600 to FYWS. 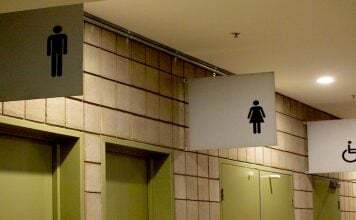 They were assigned two sales representatives Maya Rahman and Wahyudie — who came one hour late to their first appointment. 10 Aug 2016: Ms Erli made a second deposit of $1080 to FYWS. 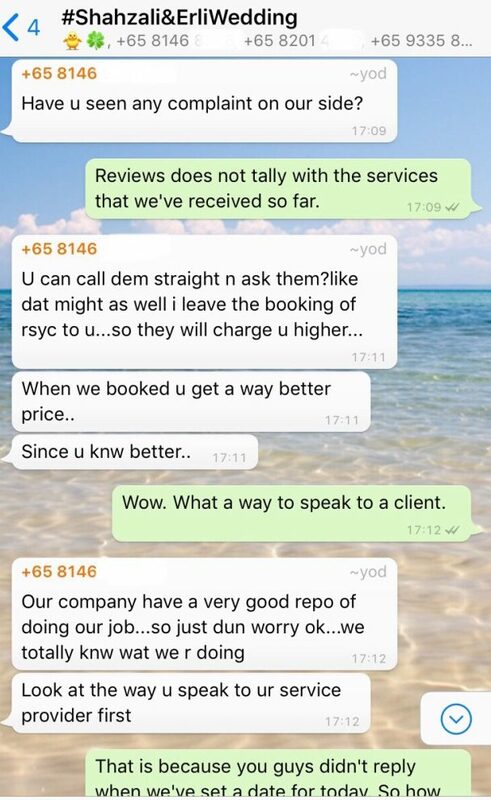 Early Nov 2016: Ms Erli’s sales reps were switched to Idham and his assistant Syazwina, who advised changing the wedding venue to Republic of Singapore Yacht Club (RSYC) for a better priced wedding package. However, this meant forfeiting their initial decor deposit of $500 from Q’yra Design. 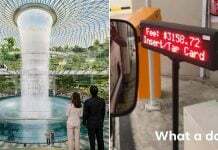 Though they thought that FYWS’ designs “look(ed) really gaudy”, they had “no choice” as “[FYWS] didn’t allow outside vendors”. 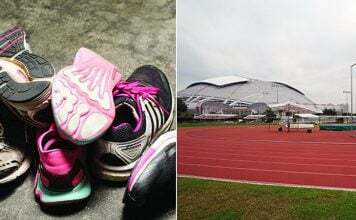 15 Nov 2016: Ms Erli’s husband asked for updates to view the venue at RSYC. Due to the slow response from FYWS’ team, they contacted RSYC directly for a viewing. 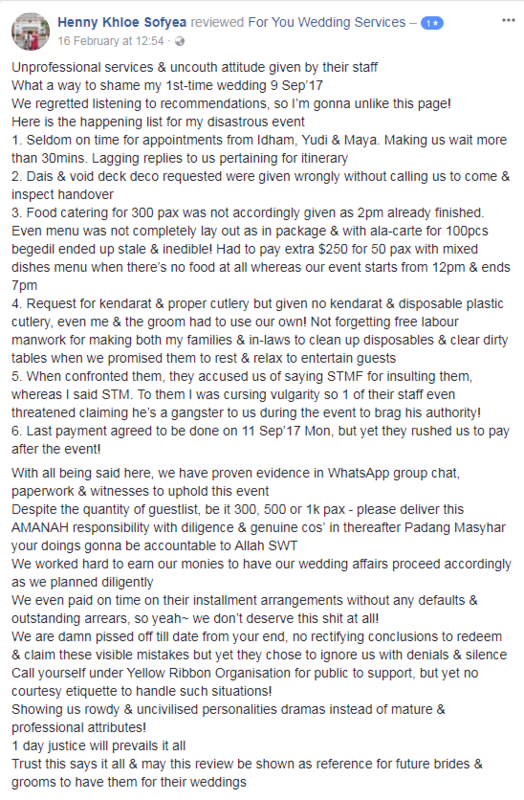 15 Dec 2016: RSYC confirmed that they do offer cheaper venue prices but the venue booking had to be done by FYWS. 15 Jan 2017: FYWS staff claimed they “could not meet them at other venues”, so the couple travelled to Expo to meet them. Ms Erli expressed interest in holding the wedding at RSYC’s ballroom and hoped to amend the contract. 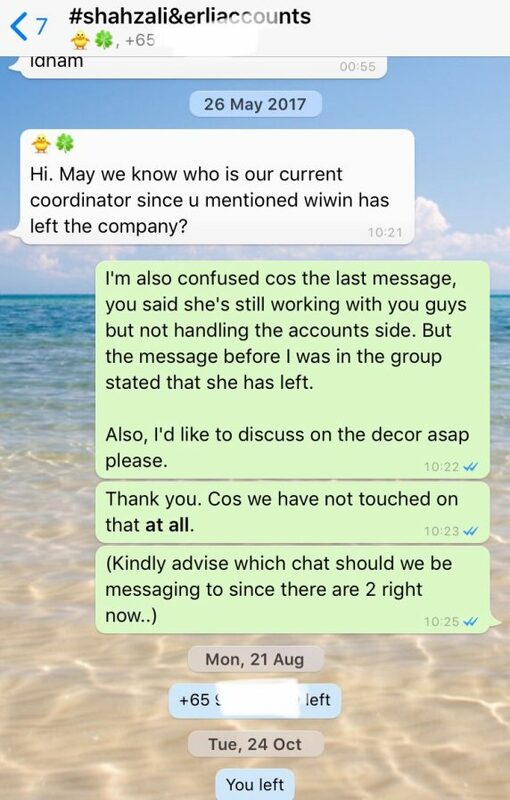 FYWS said decor ideas will be discussed “a few months before the wedding” and that FYWS staff would “take a long time to reply” since they are busy. Ms Erli didn’t wish to continue with FYWS but her husband didn’t want to waste their $3680 deposit. 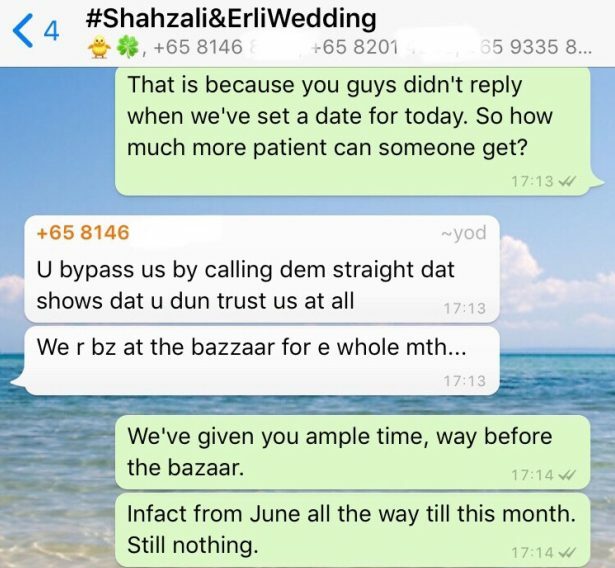 1 Mar 2017: The couple sent a decor proposal to Shazwina, but only received a WhatsApp reply of “Noted. Thank you”. 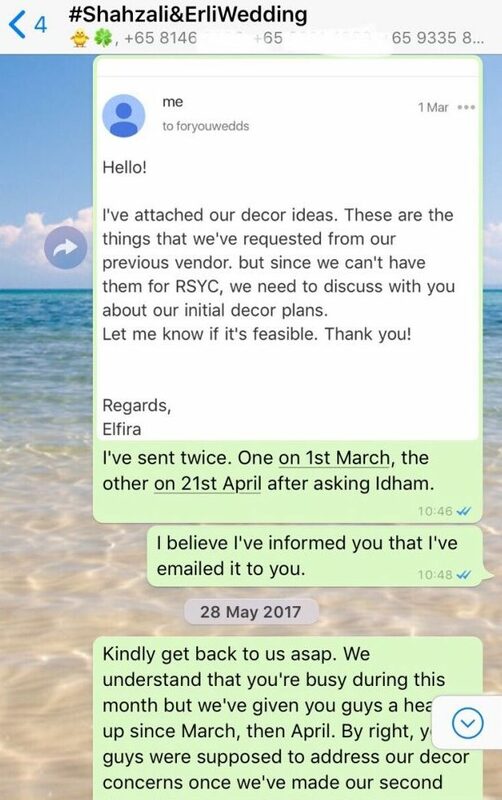 21 Apr 2017: Ms Erli messaged Idham, telling him about her decor concerns. She was told to email him instead, which she did. 26 May 2017: Ms Erli contacted FYWS staff again. This time, they asked her who their coordinator was. 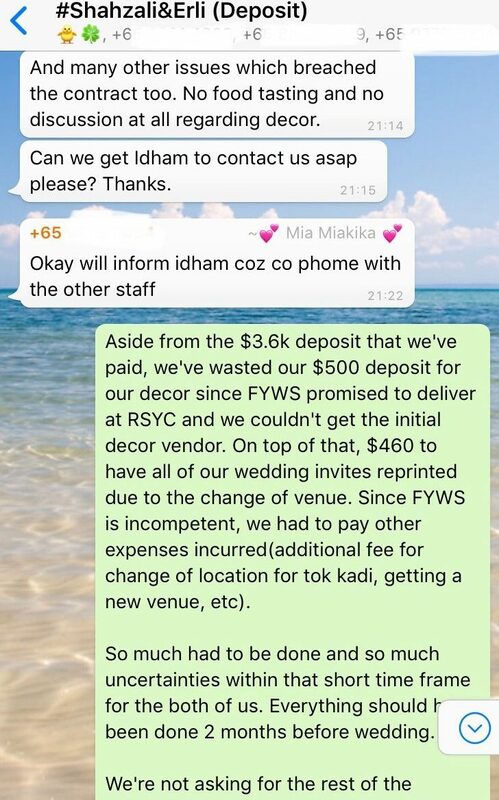 Idham then sent her a WhatsApp voice message asking her to liase with Maya Rahman and Wahyudie, their original sales reps.
28 May 2017: Ms Erli sent a chaser via Whatsapp, only to have FYWS staff ask her when her wedding was. 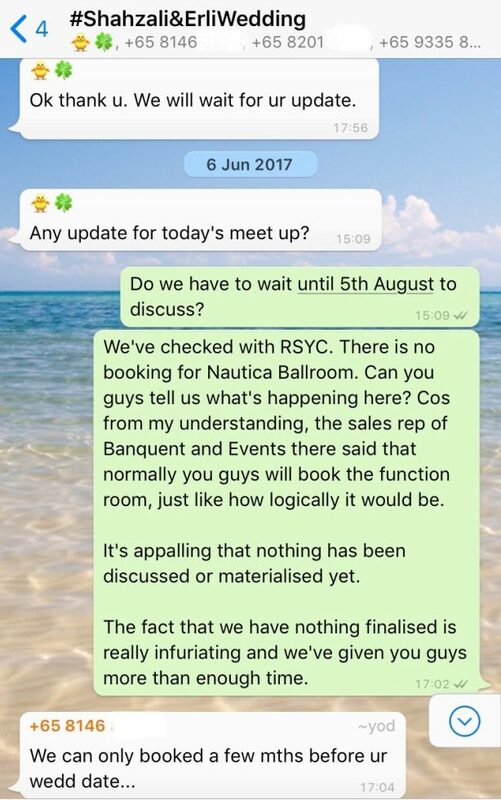 June 2017: Ms Erli called RSYC to check if Nautica Ballroom was booked, but no soft booking was done. 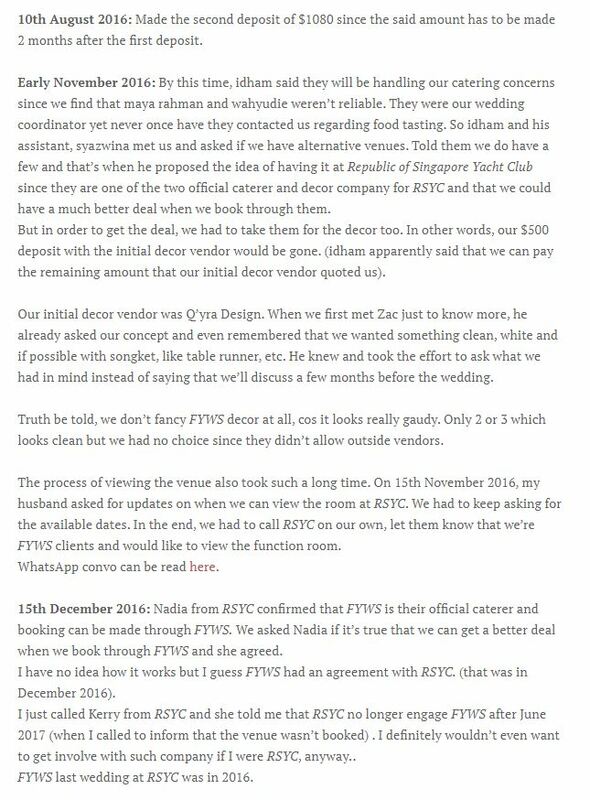 RSYC also informed her that they no longer engaged FYWS as a preferred vendor, as their last wedding together was in 2016. 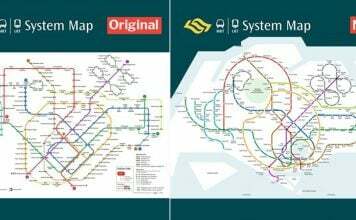 6 Jun 2017: A meet up with FYWS was arranged on 6 Jun 2017, however Ms Erli wished to clarify the matter of the location booking first. FYWS said they could only book the venue a few months before the wedding date. Ms Erli reminded FYWS that her wedding was in two months. She was told to let FYWS staff to do their job as they “totally knw wat we r doing”. And to watch “the way u speak to ur service provider” if she still wanted the discounted venue rate FYWS could get them. Two months to her wedding, Ms Erli still had no meetups, no messages and no food tastings organised. 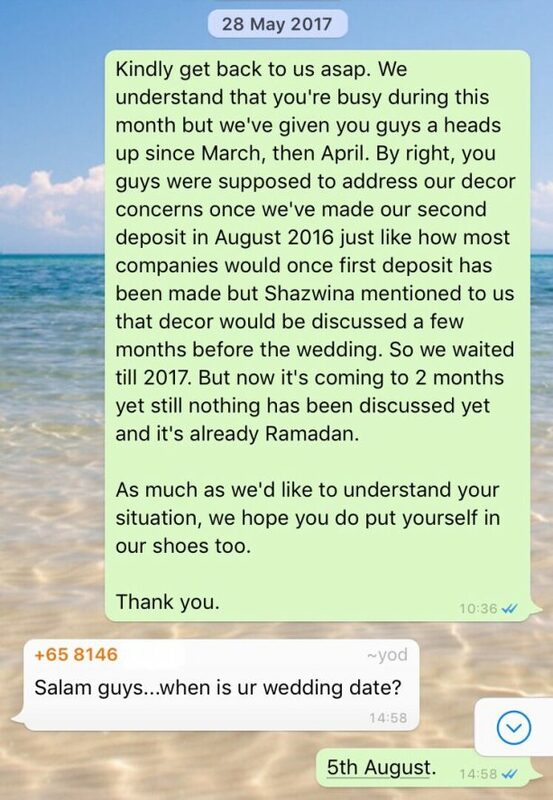 FYWS’ reason was that they were busy with the “Ramadan Bazaar” for the whole month. 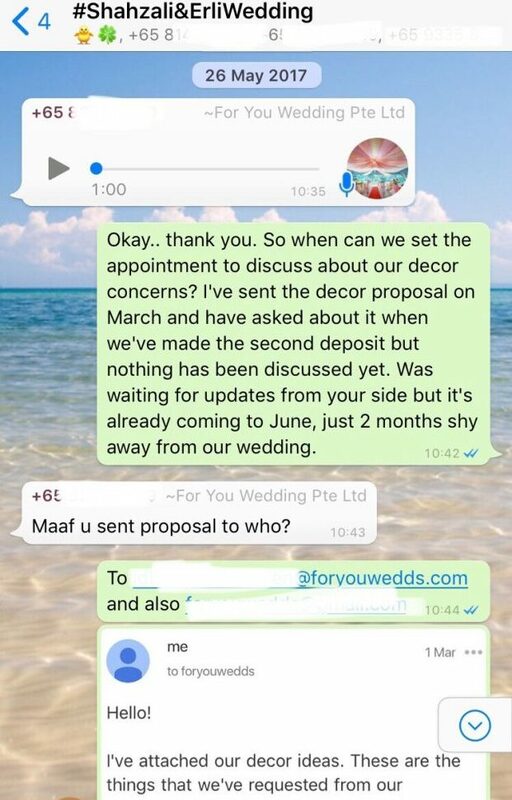 Knowing they’d most probably miss the 5 Aug wedding date as originally planned, Ms Erli contacted her remaining vendors in case they needed to postpone the wedding. The couple also sourced for other decor and catering companies. 12 Jun 2017: Ms Erli secured a venue at FAVE with Muslim Delights — an alternative wedding planner and caterer. 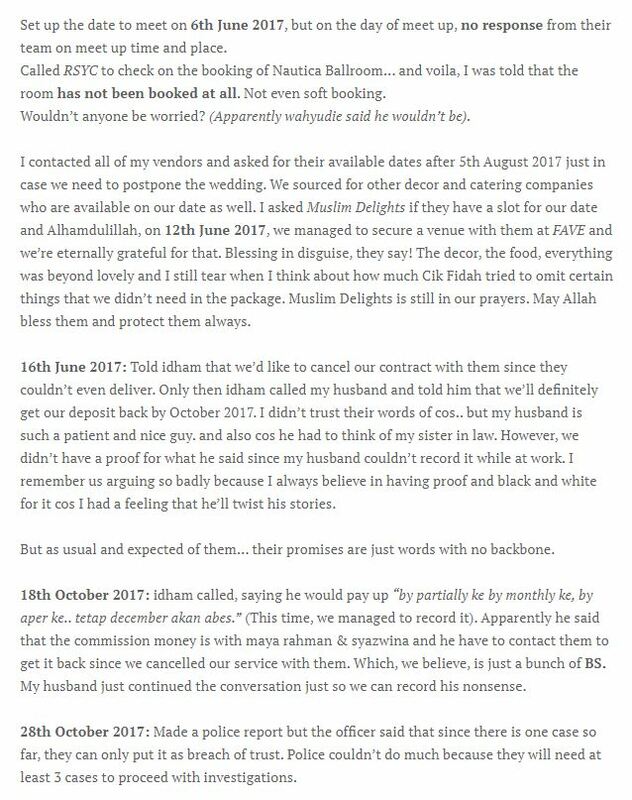 16 Jun 2017: The couple told FYWS’s Idham that they’d like to cancel their contract with them since nothing was delivered. 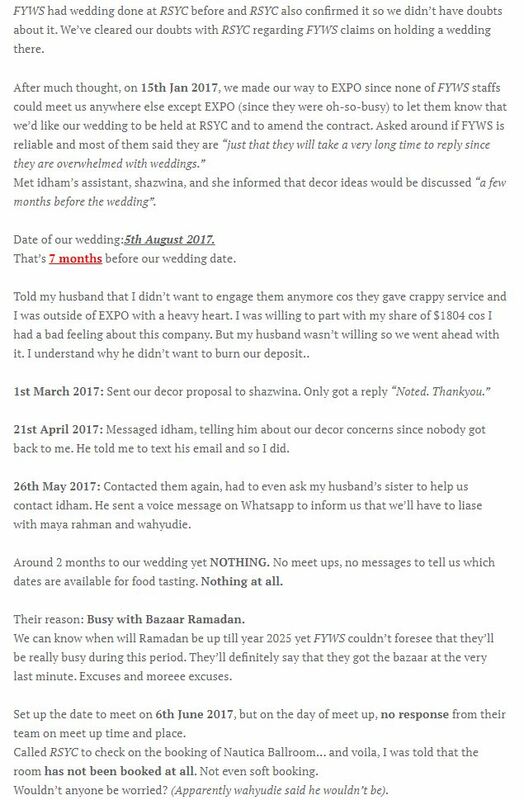 9 Oct 2017: FYWS allegedly ghosted her on Whatsapp for two weeks, after she sent proof of the cost incurred while reprinting wedding invites. 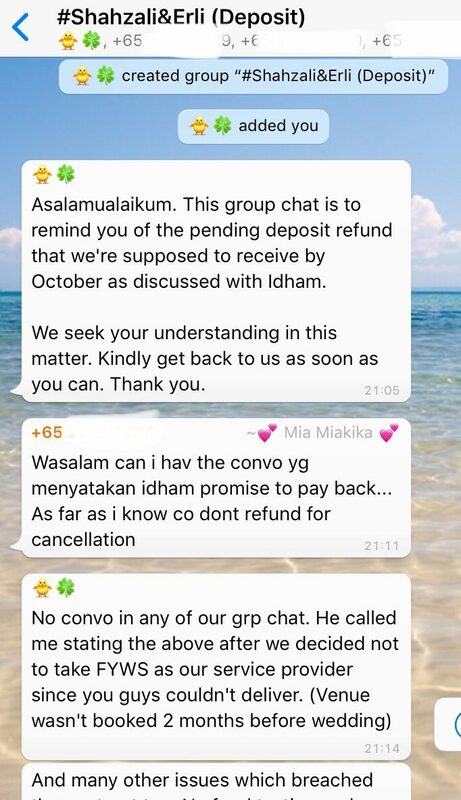 18 Oct 2017: Idham said over a call that FYWS would pay them the deposit in monthly installments by end October. However, he claimed the commission money was with Maya Rahman & Syazwina and he’d have to contact them to get it back. The conversation was recorded by the couple and posted on YouTube. 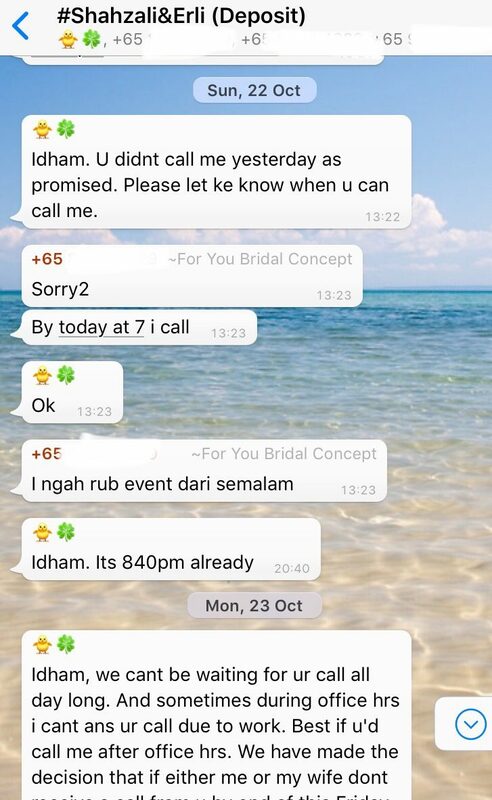 22 Oct 2017: Idham allegedly avoided Ms Erli and her husband’s calls after that promise was made. 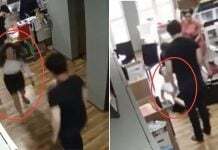 28 Oct 2017: The couple made a police report under “breach of trust”. However, the police required at least 3 similar cases to proceed with investigations. 17 Nov 2017: They filed a report with CASE. CASE’s stance was that if FYWS did not agree to meet them, there’s nothing else that could be done. The couple then considered sending a lawyer’s letter. However, they felt it was not worth the amount they’d lost. 23 Feb 2017: Still no deposit returned. The couple stated that they only wished to get their original deposit amount back, and were not pursuing the additional costs incurred. 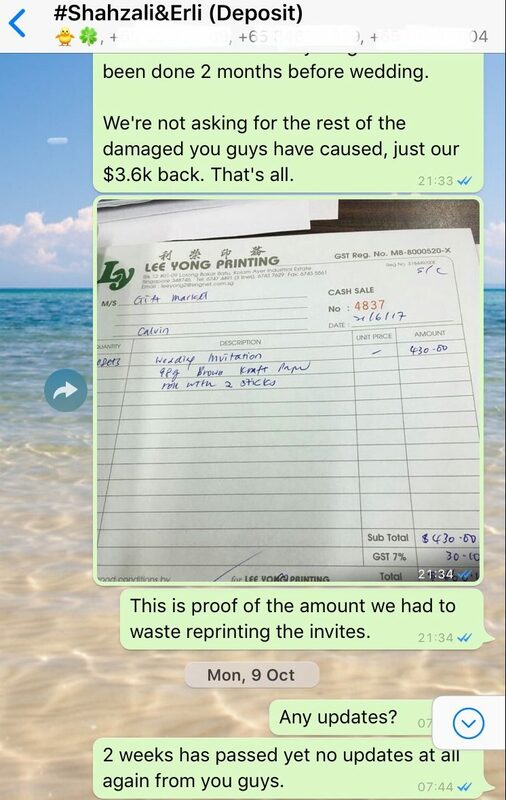 Ms Erli says that her sister-in-law is still taking cake orders from Idham although he owes her $900. This sum was eventually repaid to her on 28 Jan 2018. 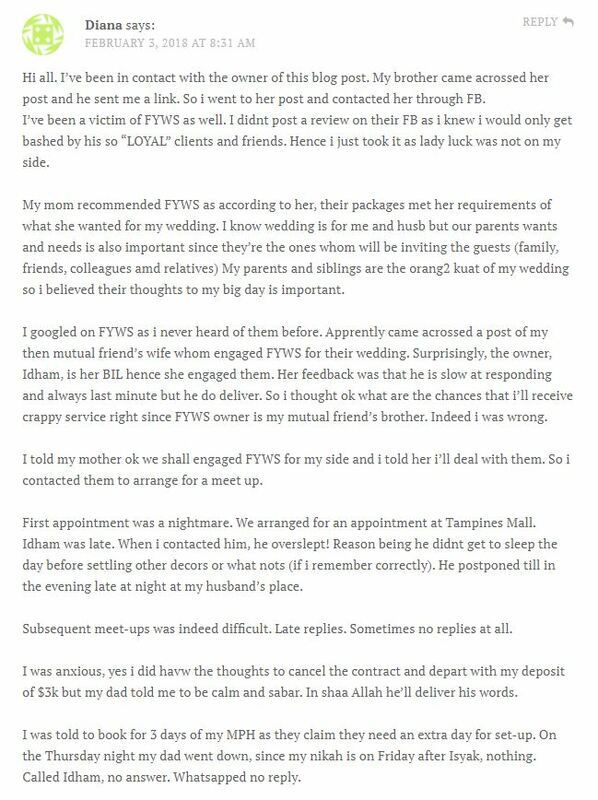 Other commentors have left their stories of similar bad experiences with FYWS on her blog post. 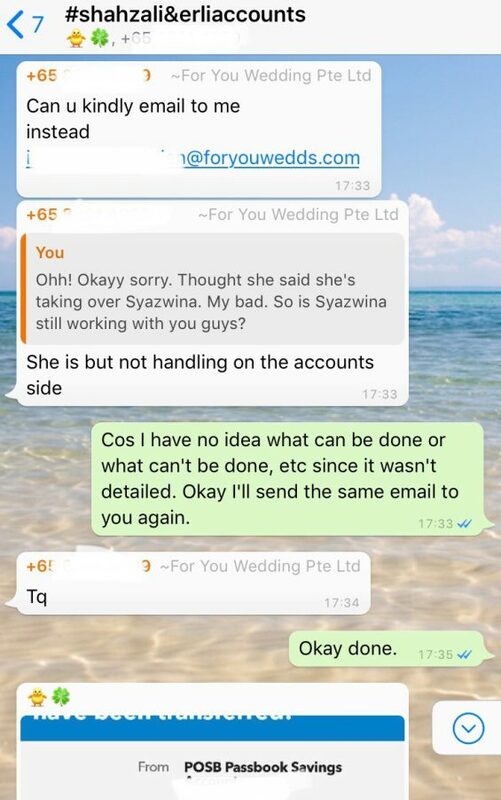 This alleged bride corroborated Ms Erli’s story about how difficult it was to contact FYWS as well. 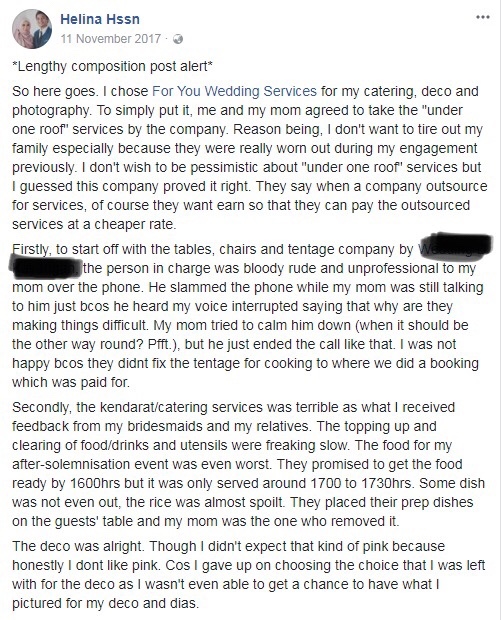 An unsatisfied bride claimed that the catering service FYWS provided on the wedding day itself “was terrible”, as the food arrived an hour late. She also said service personnel were “bloody rude and unprofessional” to her mother over the phone. 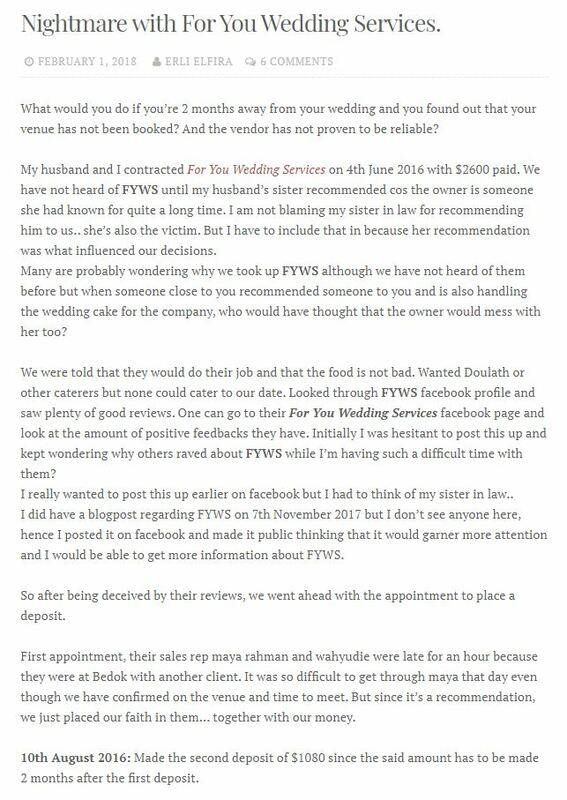 Another 1-star review of FYWS experienced difficulty contacting Idham and team, as well as insufficient food and slow service on the couple’s wedding day. 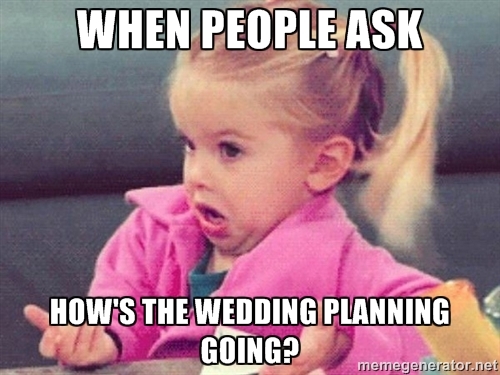 Most of us know that planning a wedding is definitely no walk in the park. Which is probably why most people rely on professionals to help prevent them from becoming bridezillas. 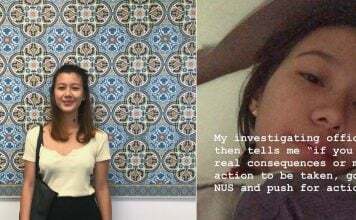 So if Ms Erli’s story is true, we can’t help but sympathise with her plight as a bride-to-be, since she engaged the services of FYWS to help her. But what do you think really happened? Was it simply a case of miscommunication? Or something far deeper? We’ve reached out to FYWS for an official statement regarding these allegations. Featured image from For You Wedding Services, WeddingCheat.